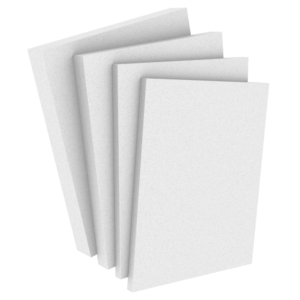 EPS insulation boards are suitable for the insulation of new and renovated buildings. When choosing EPS boards, one has to know the wall construction and the possible or necessary insulation thickness. In general, walls are insulated on the exterior side. It is the best solution from the aspect of thermal insulation and excludes the cold bridge in the connection of the exterior and interior wall.. In frame constructions and multi-layer (supporting wall+insulation+finishing not fixed on insulations) wall constructions no load affects insulation and the softest material EPS 50 may be used. EPS board does not require additional wind screen, the air insulation in the connecting point of the frame and the EPS board has to be completed. When the facade is elaborated with thin-wall plaster, the insulation board has to bear the load of the plaster layer and in this case the insulation board used has to be at least EPS 60 or EPS 60 Silver. When insulating the wall, it is important to use EPS boards with adequate thickness because it forms the smallest part of the total thermal insulation costs but its impact is the biggest.